As I promised, I have swatches for the Infallible collection of mine. I only (?) own seven out of the eighteen core shades available in the U.S., but I feel that I have acquired all the colors I need for now. I nearly fainted to realize the initial swatch post was made about two years ago. Time does fly! The good thing is that my swatching skills are a little better (although I still can't draw straight lines) and now I am equipped with better lighting as well. 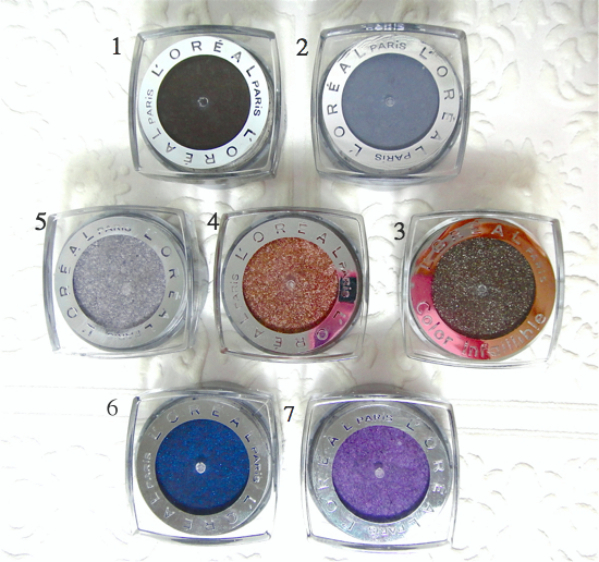 The first two shades are virtually matte but there is very faint shimmer when you look really really closely. The middle three are the most bling-y ones with foil finish and they are my favorites. 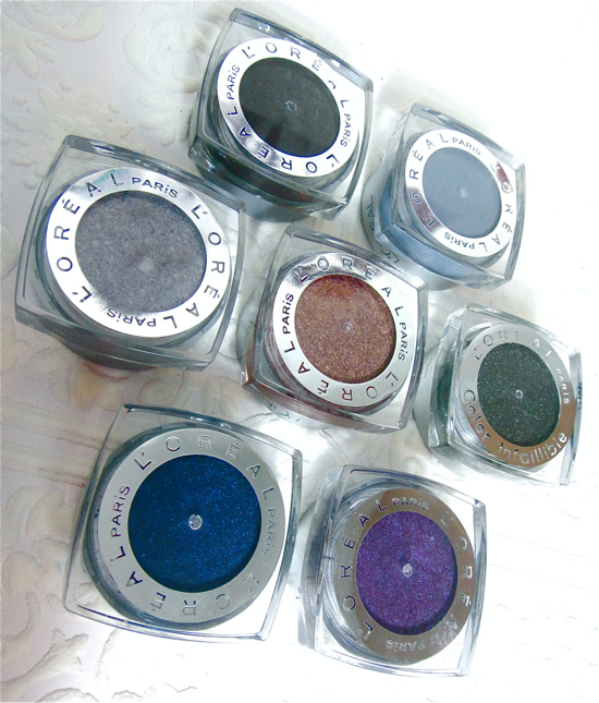 The last two has finer tonal shimmer that creates satin-y shine. Today I am wearing the Perpetual Purple. 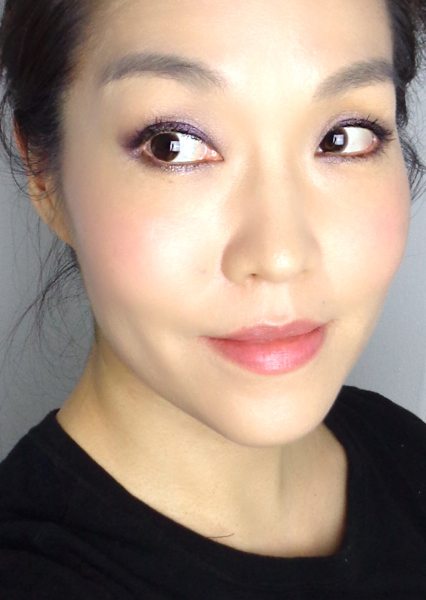 I simply filled my folds with a dark brown pencil (L'Oreal Voluminous Smoldering Liner in Brown) and packed the Infallible color over, then smoothed out the harsh edges using a shimmery loose eyeshadow (i.nouvi Dust Moonstone).